Malibu Pools and Landscapes has been the proud winner of many awards during its 40 years in business. Below is just a sample of some of the awards and acheivements they have won. 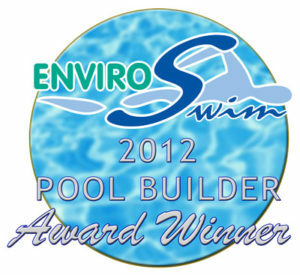 Malibu Pools has been named Enviroswim Pool Builder of the Year. “The Enviroswim Pool Builder of the Year Awards centres on the importance of environmental responsibility and consumer safety as well as outstanding construction and design,” says Gary Stutt, managing director of Enviroswim Systems. Malibu Pools commitment to customer service continues long after the new pool is being enjoyed by its owners. The Enviroswim system uses three proven pool sanitation methods in one – copper-silver ionisation, electronic oxidisation and ultrasonic cleaning – to reduce the need for chemicals like chlorine, extend the life of pool pumps and improve the water quality. Landscape Design Awards : Contractor of the Year. At Malibu we guarantee you an eye catching design, unique to your property.